1. Know your subject: The report, which looked at more than 200 pieces of research, found that there were six main elements to great teaching and one of the most important ones was subject knowledge. It may seem obvious, but the report found that the best teachers have a deep knowledge of their subject, and if that falls below a certain point it has a “significant impact” on students’ learning. Targeted help for teachers, giving them an understanding of particular areas where their knowledge is weak, could be effective. 2. Praise can do more harm than good: The wrong kind of praise can be harmful for students, the report found. A number of studies conducted by education experts, including Carol Dweck professor of psychology at Stanford University has observed this. Deborah Stipek, the dean of the Stanford Graduate School of Education, said that praise is meant to be encouraging but it can actually “convey a teacher’s low expectations”. Stipek said that if a pupil’s failure was met with sympathy rather than anger then they were more likely to think they had done badly due to a lack of ability. The report adds the caveat that the findings are open to interpretation, however, as teachers can do things well or badly, and some methods are not appropriate in all circumstances. 3. Instruction matters: The quality of teaching has a big impact on the achievement of students’ from poorer backgrounds, and effective questioning and assessment are at the heart of great teaching. This involves giving enough time for children to practise new skills and introducing learning progressively. Defining effective teaching isn’t easy, the report conceded, but research always returns to the fact that student progress is the yardstick by which teacher quality should be assessed. 4. Teacher’s beliefs count: The reasons why teachers do certain things in the classroom and what they hope to achieve has an effect on student progress. Mike Askew, the author of Effective Teachers of Numeracy, found that beliefs about the nature of maths and what it means to understand it, along with teachers’ ideas about how children learn and their role in that process, was an important factor in how effective they were. 5. Think about teacher-student relationships: This may also seem obvious, but the interactions teachers have with students has a big impact on learning – as well as the “classroom climate”. The report said that it was important to create a classroom environment that was “constantly demanding more” while affirming students’ self-worth. A student’s success should be attributed to effort rather than ability. 6. Manage behaviour: Interestingly, this wasn’t as significant as subject knowledge and classroom instruction as a factor contributing to teacher’s success. 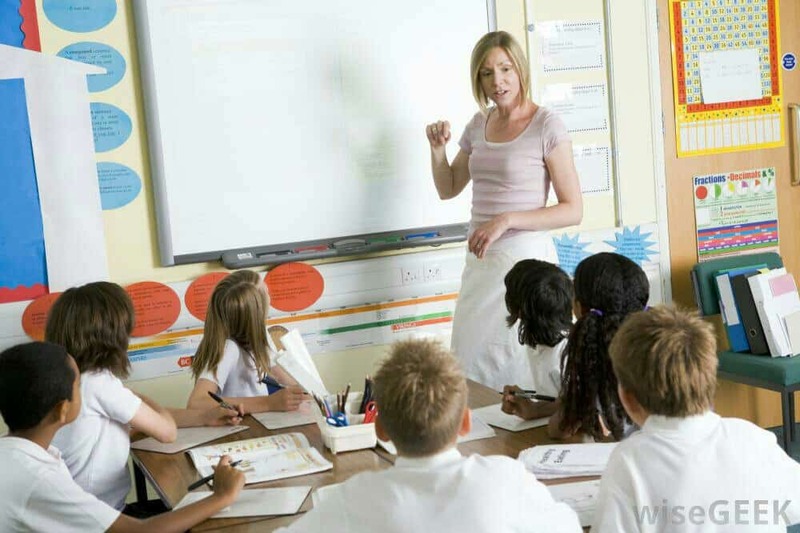 But classroom management – including how well a teacher makes use of lesson time, coordinates classroom resources and manages the behaviour of students – was noted as important. 7. Group setting: There’s no evidence that setting works, putting students in groups depending on their ability makes little difference to their learning. Although setting can in theory let teachers work at a pace that suits all pupils and tailor content, it can also create an exaggerated sense of all pupils being alike in the teacher’s mind. This can result in teachers not accommodating to the various different needs within one group and in some instances going too fast with high-ability groups and too slow with low ones. 8. Don’t worry about learning styles: A survey showed that more than 90% of teachers think individuals learn better when they get information in their preferred learning style. But despite the popularity of this approach psychological evidence shows that there is no evidence that this actually works. 9. Learning should be hard at first: One finding that may surprise you is that approaches that appear to make learning harder in the short term can actually lead to students retaining more information in the long term. 10. Build relationships with colleagues and parents: A teacher’s professional behaviour, including supporting colleagues and talking with parents, also add a moderate impact on students’ learning. The report said that there may not be a direct link with these practices and student achievement, but to capture a broad definition of good teaching they should be included.